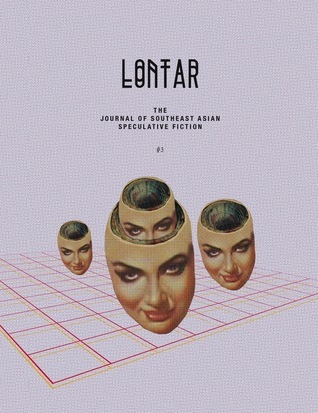 This issue of LONTAR presents speculative writing from and about Singapore, the Philippines, Cambodia and Taiwan. and speculative poetry from Anne Carly Abad, Arlene Ang, Tse Hao Guang, Cyril Wong, David Wong Hsien Ming and Daryl Yam. Q. Both of your stories in LONTAR #3 employ roadways as an essential trope: as a confusing and misdirecting force in Nikki’s story, and as beings with sentience in Dean’s story. How important are roads in the current Filipino literary psyche? DEAN: Roads continue to function as spaces to be traversed from one point to another, permitting reflection en route to an epiphany, as markers on a personal journey, or as obstacles (sometimes small, sometimes vast) to be conquered. Roads bring us together, but also make our world smaller. Their duality is this: roads signify escape, but also bind us to specific paths. In my story, some of the famous roads in Manila gain thought and emotion and reflect the history of the people around them. There is an intimation of their own society within the context of Philippine society. The roads themselves cannot escape being part of something bigger. NIKKI: When Filipinos visiting other countries receive apologies from the locals about “the terrible traffic,” we just smile at them indulgently, because you probably have no idea what traffic is until you’ve been to Manila. Once on a bad day, it took a car the better part of an hour to make it from one end of the street Dean and I live on to the other; I’m not kidding. So while I’m not sure about the Filipino literary psyche specifically, I can say that roads are pretty damn significant to the Manila-dweller’s psyche—sometimes roads simply fail to get you where you want to go, which more or less nails down what my story is all about. Another way to look at it is through a lens I like to use in a lot of my other writing—from a folkloric point of view, Leaving the Path always has consequences, often dangerous ones, but sometimes also reveals unexpected avenues to growth and fortune. This is something ingrained in all of our psyches, virtually all across the world, I think, from childhood—and what is a road, if not a gussied-up path?